Assessment of the effects of physical training in patients with chronic heart failure: the utility of effort-independent exercise variables. Traditionally, the effects of physical training in patients with chronic heart failure (CHF) are evaluated by changes in peak oxygen uptake. The assessment of peak VO(2), however, is highly dependent on the patients’ motivation. The aim of the present study was to evaluate the clinical utility of effort-independent exercise variables for detecting training effects in CHF patients. 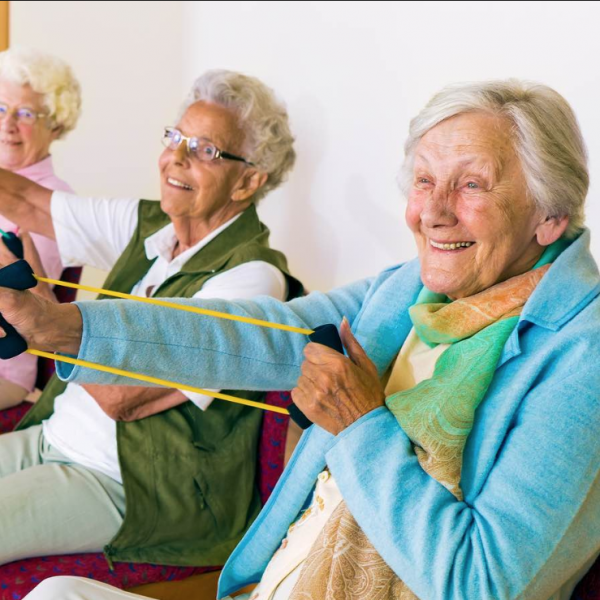 In a prospective controlled trial, patients with stable CHF were allocated to an intervention group (N = 30), performing a 12-week combined cycle interval and muscle resistance training program, or a control group (N = 18) that was matched for age, gender, body composition and left ventricular ejection fraction. The following effort-independent exercise variables were evaluated: the ventilatory anaerobic threshold (VAT), oxygen uptake efficiency slope (OUES), the V(E)/VCO(2) slope and the time constant of VO(2) kinetics during recovery from submaximal constant-load exercise (tau-rec). In addition to post-training increases in peak VO(2) and peak V(E), the intervention group showed significant within and between-group improvements in VAT, OUES and tau-rec. There were no significant differences between relative improvements of the effort-independent exercise variables in the intervention group. In contrast with VAT, which could not be determined in 9% of the patients, OUES and tau-rec were determined successfully in all patients. Therefore, this study concludes that OUES and tau-rec are useful in clinical practice for the assessment of training effects in CHF patients, especially in cases of poor subject effort during symptom-limited exercise testing or when patients are unable to reach a maximal exercise level.